Last minute sales, gift ideas, and more! Only two days left before Christmas–are you ready?! Englewood Camera has great gift ideas for photographers, and to help out the last-minute shoppers, we have put our entire selection of camera bags, cases, and straps on sale. Come on by for 20% savings on a new backpack, shoulder bag, lens case, or strap for your camera! This sale ends 1/2/16 and while supplies last. You can also snag an Englewood Camera gift card in any amount. Today only, we have a GREAT deal on a Fujifilm X-T10 camera kit. Pick up a black X-T10 with the 18-55mm f/2.8-4 OIS lens for $999 (a $100 savings), and we’ll throw in a 3-year extended Mack Diamond Warranty and and 16GB SD memory card! That’s a total savings of $255! Continue reading Last minute sales, gift ideas, and more! Posted on December 23, 2015 December 23, 2015 Author englewoodcameraCategories Camera Accessories, Digital Photography, Sales and Promotions, Used Camera EquipmentTags Camera bags, Camera Straps, Canon, Christmas 2015, Christmas sale, Fuji, Fujifilm X-T10, full frame, Holiday sale, Mirrorless, Nikon, Olympus, Sony, Used Cameras, used equipment, Used LensesLeave a comment on Last minute sales, gift ideas, and more! In need of stocking stuffers for the photographer in your life? Looking for a photo accessory? Englewood Camera can help! We have a selection of stocking stuffers picked out for photographers–including professional memory cards from Delkin, Hoodman and SanDisk, USB charging packs (great for cameras and phones! ), microphones, camera straps, cleaning supplies, memory and battery storage options, and more! Stocking stuffer ideas for photographers! Continue reading Last minute gift ideas! Posted on December 21, 2015 December 22, 2015 Author englewoodcameraCategories Digital Photography, Sales and PromotionsTags Canon, Christmas 2015, Christmas sale, Digital cameras, Fujifilm, Gift Ideas, Gifts for Photographers, lenses, Photography gifts, Sony, Stocking stufferLeave a comment on Last minute gift ideas! Great savings on hot new cameras from Canon, Fujifilm, Sony and more! 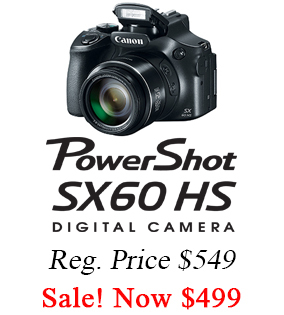 Christmas never seemed so good… Check out amazing deals on all the top camera brands! Through Christmas Eve, Englewood Camera has great savings on new cameras and lenses from top manufacturers, including Canon, Fujifilm, Olympus, and Sony! 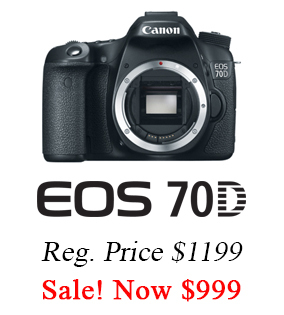 Continue reading Great savings on hot new cameras from Canon, Fujifilm, Sony and more! 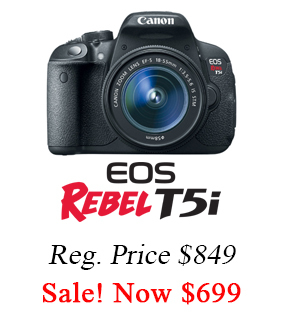 Posted on December 15, 2014 Author englewoodcameraCategories Camera Accessories, Digital Photography, Sales and Promotions, Store NewsTags Cameras on-sale, Canon, Christmas sale, Digital cameras, Fujifilm, Lenses on-sale, mirrorless cameras, SonyLeave a comment on Great savings on hot new cameras from Canon, Fujifilm, Sony and more!